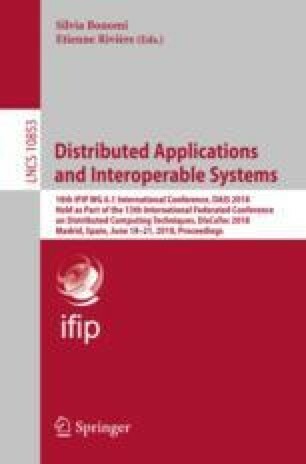 We describe a case study application for untethered video dissemination using a hybrid edge-cloud architecture featuring Android devices, possibly organised in WiFi-Direct groups, and Raspberry Pi-based cloudlets, structured in a mesh and also working as access points. The application was tested in the real-world scenario of a Portuguese volleyball league game. During the game, users of the application recorded videos and injected them in the edge-cloud. The cloudlet servers continuously synchronised their cached video contents over the mesh network, allowing users on different locations to share their videos, without resorting to any other network infrastructure. An analysis of the logs gathered during the experiment shows that such portable setups can easily disseminate videos to tens of users through the edge-cloud with low latencies. We observe that the edge-cloud may be naturally resilient to faulty cloudlets or devices, taking advantage of video caching within devices and WiFi-Direct groups, and of device churn to opportunistically disseminate videos. This work has been sponsored by projects HYRAX (CMUP-ERI/FIA/0048/2013), funded by FCT, and SMILES (NORTE-01-0145-FEDER-000020), funded by NORTE 2020, under PORTUGAL 2020, and through the ERDF fund. We wish to thank Nuno Vitó and Bernardo Viterbo from S.C. Espinho, José Gouveia and Quirino Gomes from C.M. Espinho, and Francisco Carvalho from Vitória S.C. for their precious support.